Improve your daily mobility with the Duet. 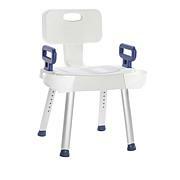 It combines the features of a rollator and a transport chair in one unit. 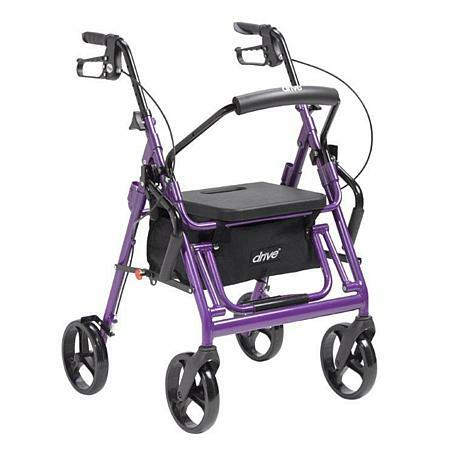 Ambulate independently, or be pushed safely by a caregiver — whichever you choose at any given moment, features like a padded seat, padded backrest and locking armrests make it easy and comfortable to use. Weight Capacity: Approx. 300 lbs. Best item I ever brought!!! I enjoy the ride. My feet now have a place to be instead of holding them up in the air. The handles are nice to hold onto. Fits in car nicely. This is a good ride! 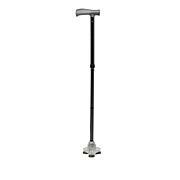 Great product--use as transport chair or rollator Greater height than a regular transport chair, when going visiting, shopping, or doctors resulting in a better experience. 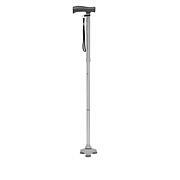 When we go out only carrying one item not a transport and rollator. Only problem is that going over a door entrance or ruts product gets stuck. Solved by going in reverse. This was purchased for my sister that had a hip replacement. This takes the place of a heavy portable wheel chair and a Walker she uses at home. It's easy to get Walker/chair in and out of the car. When we're out, if she gets tired of walking I can push her in the chair. 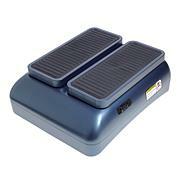 The footrest is a great feature too! People are always stopping us asking where did we get this!